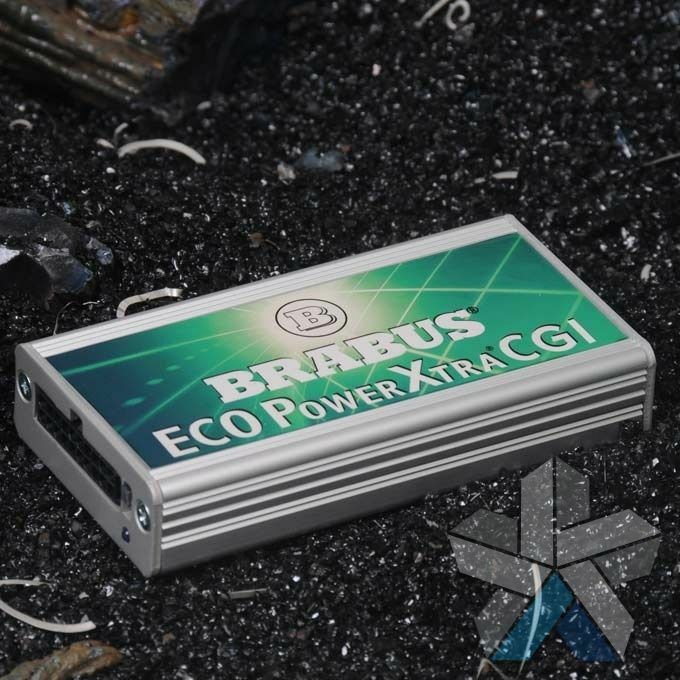 After the huge success of the Brabus PowerXtra kit for diesel engines, Brabus have gone on to develop a sister product - the Eco PowerXtra for petrol engines. 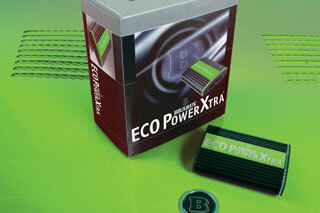 Eco PowerXtra CGI is a plug-in petrol tuning kit that is available for Mercedes four, six and eight cylinder CGI engines. PowerXtra CGI tuning kits are designed to boost the performance and fuel economy of your Mercedes’ petrol engine - increasing the bhp, torque and driving dynamics without affecting CO2 emissions. Delivering the performance gains you would associate with a fully-fledged Brabus, in your own Mercedes. PowerXtra has been designed and developed by specialist engineers at Brabus in Germany to deliver plug-in performance boots of up to 113bhp and 200Nm (depending on your model of vehicle), in a safe and effective way, well within the tolerances of your vehicle. PowerXtra CGI differs from other methods of engine tuning like ECU remapping because it is a plug-in system that works together with your ECU to deliver the performance improvements. Rather than modifying or replacing your ECU’s software, PowerXtra plugs in using a simple wiring harness, and is a natural successor to traditional engine chipping. One of the many advantages is that the kit is easy to remove for resale when, or if, you decide to change your vehicle. This plugin system also means you don’t have to have to think about having your ECU reprogrammed or reset in the future. As you might guess from the name, Eco PowerXtra improves fuel economy as well as performance, delivering more miles per gallon alongside substantial performance boosts. Brabus are a performance tuning company that specialise in modifying factory standard Mercedes vehicles to deliver cars that have improvements to styling, handling and performance. Vehicles modified by Brabus are branded with the ‘Brabus’ logo, and directly compete with vehicles like AMG. Alongside these tuned vehicles Brabus also produce a range of accessories, performance parts and tuning kits, and this includes Brabus Eco PowerXtra for both diesel and petrol engines. We recommend that these petrol engine tuning kits should be fitted at an independent Mercedes Specialist garage to ensure that the kit is correctly installed and to validate the 3 year Brabus tuning warranty. A basic petrol engine installation typically takes around an hour and a half. We can arrange for fitment of your new Brabus kit, or can email the installation instructions to your chosen specialist in advance. Budget around £100 for the installation of a standard kit and £250 for an S, B50 or B63 kit. To locate your nearest Mercedes specialist please look at the Mercedes-Benz Specialist Directory. Your Brabus warranty will be registered once the Brabus Installation Certificate has been completed. All of the Eco PowerXtra kits come with a 100,000-mile/3 year warranty that covers both the tuning kit and the vehicle that it is installed in. 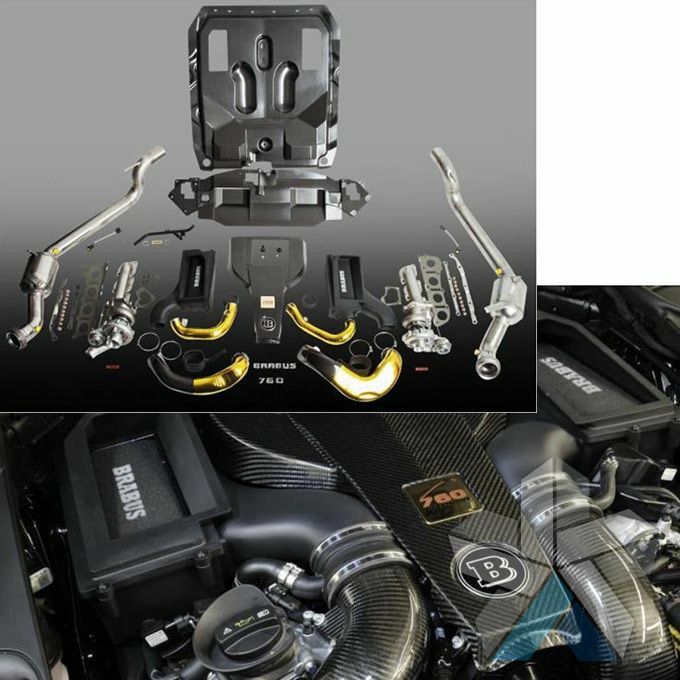 Brabus tuning kits have been designed with the longevity and safety of your vehicle in mind and the warranty covers the engine, drivetrain and gearbox of your vehicle (see below for full details). These kits have been thoroughly tested to ensure that they work within safe limits, and they come programmed to ensure that power and performance boosts are only delivered when your engine reaches its optimum temperature. The Brabus tuning warranty can depend on the age and mileage of your vehicle so please see the warranty statement for full details. For more specific information on the model of your vehicle please download the CGI fact sheet for PowerXtra here. Using the A Class Hatchback W176 A180 as a base, this Brabus Eco PowerXtra CGI B18 kit will boost the performance of your car's M270 engine with an extra 33bhp and a punchy 40Nm extra torque. It is suitable for models with a 6/7 speed gearbox. . Brabus Part number 176-B18-00. Using the B Class Hatchback W246 B180 as a base, this Brabus Eco PowerXtra CGI B18 kit will boost the performance of your car's M270 engine with an extra 33bhp and a punchy 40Nm extra torque. It is suitable for models with a 6/7 speed gearbox. . Brabus Part number 176-B18-00. Using the C Class Saloon/Estate/Coupe W/S/C204 C180 CGI as a base, this Brabus Eco PowerXtra CGI B18 kit will boost the performance of your car's M271 engine with an extra 26bhp and a punchy 30Nm extra torque. It is suitable for models with a 5/7 speed gearbox. Requires tyres with minimum speed index V; . Brabus Part number 204-B18-00. Using the CLA Class Coupe/Shooting Brake C/X117 CLA180 as a base, this Brabus Eco PowerXtra CGI B18 kit will boost the performance of your car's M270 engine with an extra 33bhp and a punchy 40Nm extra torque. It is suitable for models with a 6/7 speed gearbox. . Brabus Part number 176-B18-00. Using the C Class Saloon W205 C180 as a base, this Brabus Eco PowerXtra CGI B18.2 kit will boost the performance of your car's M274 engine with an extra 21bhp and a punchy 50Nm extra torque. It is suitable for models with a 7 speed gearbox. Requires tyres with minimum speed index V; . Brabus Part number 205-B18-00. Using the C Class Saloon/Estate/Coupe W/S/C204 C180 CGI as a base, this Brabus Eco PowerXtra CGI B18.2 kit will boost the performance of your car's M274 engine with an extra 26bhp and a punchy 30Nm extra torque. It is suitable for models with a 5/7 speed gearbox. Requires tyres with minimum speed index V; . Brabus Part number 204-B18-10. Using the C Class Saloon/Estate/Coupe W/S/C204 C180 CGI as a base, this Brabus Eco PowerXtra CGI B18S kit will boost the performance of your car's M271 engine with an extra 41bhp and a punchy 55Nm extra torque. It is suitable for models with a 5/7 speed gearbox. Requires tyres with minimum speed index V; . Brabus Part number 204-B18S-00. Using the C Class Saloon/Estate/Coupe W/S/C204 C200 CGI as a base, this Brabus Eco PowerXtra CGI B20 kit will boost the performance of your car's M271 engine with an extra 26bhp and a punchy 30Nm extra torque. It is suitable for models with a 5/7 speed gearbox. Requires tyres with minimum speed index W; . Brabus Part number 204-B20-00. Using the E Class Coupe/Convertible C/A207 E200 CGI as a base, this Brabus Eco PowerXtra CGI B20 kit will boost the performance of your car's M271 engine with an extra 26bhp and a punchy 30Nm extra torque. It is suitable for models with a 5/7 speed gearbox. Requires tyres with minimum speed index W; . Brabus Part number 207-B20-00. Using the E Class Saloon/Estate W/S212 E200 CGI as a base, this Brabus Eco PowerXtra CGI B20 kit will boost the performance of your car's M271 engine with an extra 26bhp and a punchy 30Nm extra torque. It is suitable for models with a 5/7 speed gearbox. Requires tyres with minimum speed index W; . Brabus Part number 212-B20-00. Using the SLK Class R172 SLK200 CGI as a base, this Brabus Eco PowerXtra CGI B20 kit will boost the performance of your car's M271 engine with an extra 26bhp and a punchy 30Nm extra torque. It is suitable for models with a 7 speed gearbox. Requires tyres with minimum speed index W; . Brabus Part number 172-B20-00. Using the C Class Saloon W205 C200 as a base, this Brabus Eco PowerXtra CGI B20.2 kit will boost the performance of your car's M274 engine with an extra 41bhp and a punchy 30Nm extra torque. It is suitable for models with a 7 speed gearbox. Requires tyres with minimum speed index W; . Brabus Part number 205-B20-00. Using the E Class Saloon/Estate W/S212 E200 CGI as a base, this Brabus Eco PowerXtra CGI B20.2 kit will boost the performance of your car's M274 engine with an extra 31bhp and a punchy 30Nm extra torque. It is suitable for models with a 7 speed gearbox. Requires tyres with minimum speed index W; . Brabus Part number 212-B20-10. Using the C Class Saloon/Estate/Coupe W/S/C204 C200 CGI as a base, this Brabus Eco PowerXtra CGI B20S kit will boost the performance of your car's M271 engine with an extra 41bhp and a punchy 55Nm extra torque. It is suitable for models with a 5/7 speed gearbox. Requires tyres with minimum speed index W; . Brabus Part number 204-B20S-00. Using the E Class Coupe/Convertible C/A207 E200 CGI as a base, this Brabus Eco PowerXtra CGI B20S kit will boost the performance of your car's M271 engine with an extra 41bhp and a punchy 55Nm extra torque. It is suitable for models with a 5/7 speed gearbox. Requires tyres with minimum speed index W; . Brabus Part number 207-B20S-00. Using the E Class Saloon/Estate W/S212 E200 CGI as a base, this Brabus Eco PowerXtra CGI B20S kit will boost the performance of your car's M271 engine with an extra 41bhp and a punchy 55Nm extra torque. It is suitable for models with a 5/7 speed gearbox. Requires tyres with minimum speed index W; . Brabus Part number 212-B20S-00. Using the SLK Class R172 SLK200 CGI as a base, this Brabus Eco PowerXtra CGI B20S kit will boost the performance of your car's M271 engine with an extra 41bhp and a punchy 55Nm extra torque. It is suitable for models with a 7 speed gearbox. Requires tyres with minimum speed index W; . Brabus Part number 172-B20S-00. Using the A Class Hatchback W176 A250 & A250 SPORT as a base, this Brabus Eco PowerXtra CGI B25 kit will boost the performance of your car's M270 engine with an extra 34bhp and a punchy 35Nm extra torque. It is suitable for models with a 7 speed gearbox. Requires tyres with minimum speed index W; . Brabus Part number 176-B25-00. Using the A Class Hatchback W176 A250 4MATIC as a base, this Brabus Eco PowerXtra CGI B25 kit will boost the performance of your car's M270 engine with an extra 34bhp and a punchy 35Nm extra torque. It is suitable for models with a 7 speed gearbox. Requires tyres with minimum speed index W; . Brabus Part number 156-B25-00. Using the C Class Saloon/Estate/Coupe W/S/C204 C250 CGI as a base, this Brabus Eco PowerXtra CGI B25 kit will boost the performance of your car's M271 engine with an extra 26bhp and a punchy 40Nm extra torque. It is suitable for models with a 5/7 speed gearbox. Requires tyres with minimum speed index W; . Brabus Part number 204-B25-00. Using the CLA Class Coupe/Shooting Brake C/X117 CLA250 as a base, this Brabus Eco PowerXtra CGI B25 kit will boost the performance of your car's M270 engine with an extra 34bhp and a punchy 35Nm extra torque. It is suitable for models with a 7 speed gearbox. Requires tyres with minimum speed index W; . Brabus Part number 176-B25-00. Using the CLA Class Coupe/Shooting Brake C/X117 CLA250 4MATIC as a base, this Brabus Eco PowerXtra CGI B25 kit will boost the performance of your car's M270 engine with an extra 34bhp and a punchy 35Nm extra torque. It is suitable for models with a 7 speed gearbox. Requires tyres with minimum speed index W; . Brabus Part number 156-B25-00. Using the E Class Coupe/Convertible C/A207 E250 CGI as a base, this Brabus Eco PowerXtra CGI B25 kit will boost the performance of your car's M271 engine with an extra 26bhp and a punchy 40Nm extra torque. It is suitable for models with a 5/7 speed gearbox. Requires tyres with minimum speed index W; . Brabus Part number 207-B25-00. Using the E Class Saloon/Estate W/S212 E250 CGI as a base, this Brabus Eco PowerXtra CGI B25 kit will boost the performance of your car's M271 engine with an extra 26bhp and a punchy 40Nm extra torque. It is suitable for models with a 5/7 speed gearbox. Requires tyres with minimum speed index W; . Brabus Part number 212-B25-00. Using the GLA Class X156 GLA250 4MATIC as a base, this Brabus Eco PowerXtra CGI B25 kit will boost the performance of your car's M270 engine with an extra 34bhp and a punchy 35Nm extra torque. It is suitable for models with a 7 speed gearbox. Requires tyres with minimum speed index W; . Brabus Part number 156-B25-00. Using the SLK Class R172 SLK250 CGI as a base, this Brabus Eco PowerXtra CGI B25 kit will boost the performance of your car's M271 engine with an extra 26bhp and a punchy 40Nm extra torque. It is suitable for models with a 7 speed gearbox. Requires tyres with minimum speed index W; . Brabus Part number 172-B25-00. Using the C Class Saloon W205 C250 as a base, this Brabus Eco PowerXtra CGI B25.2 kit will boost the performance of your car's M274 engine with an extra 34bhp and a punchy 50Nm extra torque. It is suitable for models with a 7 speed gearbox. Requires tyres with minimum speed index W; . Brabus Part number 205-B25-00. Using the E Class Saloon/Estate W/S212 E250 CGI as a base, this Brabus Eco PowerXtra CGI B25.2 kit will boost the performance of your car's M274 engine with an extra 34bhp and a punchy 30Nm extra torque. It is suitable for models with a 7 speed gearbox. Requires tyres with minimum speed index W; . Brabus Part number 212-B25-10. Using the C Class Saloon/Estate/Coupe W/S/C204 C250 CGI as a base, this Brabus Eco PowerXtra CGI B25S kit will boost the performance of your car's M271 engine with an extra 36bhp and a punchy 60Nm extra torque. It is suitable for models with a 5/7 speed gearbox. Requires tyres with minimum speed index W; . Brabus Part number 204-B25S-00. Using the E Class Coupe/Convertible C/A207 E250 CGI as a base, this Brabus Eco PowerXtra CGI B25S kit will boost the performance of your car's M271 engine with an extra 36bhp and a punchy 60Nm extra torque. It is suitable for models with a 5/7 speed gearbox. Requires tyres with minimum speed index W; . Brabus Part number 207-B25S-00. Using the E Class Saloon/Estate W/S212 E250 CGI as a base, this Brabus Eco PowerXtra CGI B25S kit will boost the performance of your car's M271 engine with an extra 36bhp and a punchy 60Nm extra torque. It is suitable for models with a 5/7 speed gearbox. Requires tyres with minimum speed index W; . Brabus Part number 212-B25S-00. Using the SLK Class R172 SLK250 CGI as a base, this Brabus Eco PowerXtra CGI B25S kit will boost the performance of your car's M271 engine with an extra 36bhp and a punchy 60Nm extra torque. It is suitable for models with a 7 speed gearbox. Requires tyres with minimum speed index W; . Brabus Part number 172-B25S-00. Using the E Class Saloon/Estate W/S212 E400 as a base, this Brabus Eco PowerXtra CGI B40 kit will boost the performance of your car's M276 engine with an extra 50bhp and a punchy 70Nm extra torque. It is suitable for models with a 7 speed gearbox. The top speed restriction is changed to 171 mph;Verify tyres are approved for new top speed; BRABUS speedometer required. Brabus Part number 212-B40-10-275. Using the E Class Saloon/Estate W/S212 E400 as a base, this Brabus Eco PowerXtra CGI B40 kit will boost the performance of your car's M276 engine with an extra 50bhp and a punchy 70Nm extra torque. It is suitable for models with a 7 speed gearbox. The top speed restriction is changed to 155 mph;. Brabus Part number 212-B40-10-250. Using the A Class Hatchback W176 A45 AMG as a base, this Brabus Eco PowerXtra CGI B45 kit will boost the performance of your car's M133 engine with an extra 40bhp and a punchy 50Nm extra torque. It is suitable for models with a 7 speed gearbox. The top speed restriction is changed to 168 mph;Requires ECU to be sent to Brabus; . Brabus Part number 176-B45-10-270. Using the A Class Hatchback W176 A45 AMG as a base, this Brabus Eco PowerXtra CGI B45 kit will boost the performance of your car's M133 engine with an extra 40bhp and a punchy 50Nm extra torque. It is suitable for models with a 7 speed gearbox. . Brabus Part number 176-745-10. Using the CLA Class Coupe/Shooting Brake C/X117 CLA45 AMG as a base, this Brabus Eco PowerXtra CGI B45 kit will boost the performance of your car's M133 engine with an extra 40bhp and a punchy 50Nm extra torque. It is suitable for models with a 7 speed gearbox. The top speed restriction is changed to 168 mph;Requires ECU to be sent to Brabus; . Brabus Part number 176-B45-10-270. Using the CLA Class Coupe/Shooting Brake C/X117 CLA45 AMG as a base, this Brabus Eco PowerXtra CGI B45 kit will boost the performance of your car's M133 engine with an extra 40bhp and a punchy 50Nm extra torque. It is suitable for models with a 7 speed gearbox. . Brabus Part number 176-745-10. Using the CL Class Coupe C216 CL500 CGI as a base, this Brabus Eco PowerXtra CGI B50-490 kit will boost the performance of your car's M278 engine with an extra 55bhp and a punchy 80Nm extra torque. It is suitable for models with a 7 speed gearbox. The top speed restriction is changed to 155 mph;Requires tyres of minimum rating: Front&Rear 96Y; . Brabus Part number 221-750-10-250. Using the CL Class Coupe C216 CL500 CGI as a base, this Brabus Eco PowerXtra CGI B50-490 kit will boost the performance of your car's M278 engine with an extra 55bhp and a punchy 80Nm extra torque. It is suitable for models with a 7 speed gearbox. The top speed restriction is changed to 171 mph;4Matic cars require the ECU to be sent to Brabus; Verify tyres are approved for new top speed; BRABUS speedometer required. Brabus Part number 221-750-10-275. Using the S Class Saloon W/V221 S500 CGI as a base, this Brabus Eco PowerXtra CGI B50-490 kit will boost the performance of your car's M278 engine with an extra 55bhp and a punchy 80Nm extra torque. It is suitable for models with a 7 speed gearbox. The top speed restriction is changed to 155 mph;Requires tyres of minimum rating: Front&Rear 96Y; . Brabus Part number 221-750-10-250. Using the S Class Saloon W/V221 S500 CGI as a base, this Brabus Eco PowerXtra CGI B50-490 kit will boost the performance of your car's M278 engine with an extra 55bhp and a punchy 80Nm extra torque. It is suitable for models with a 7 speed gearbox. The top speed restriction is changed to 171 mph;4Matic cars require the ECU to be sent to Brabus; Verify tyres are approved for new top speed; BRABUS speedometer required. Brabus Part number 221-750-10-275. Using the CLS Class Coupe/Shooting Brake C/X218 CLS500 as a base, this Brabus Eco PowerXtra CGI B50-500 kit will boost the performance of your car's M278.922 engine with an extra 92bhp and a punchy 120Nm extra torque. It is suitable for models with a 7 speed gearbox. The top speed restriction is changed to 155 mph;Requires tyres of minimum rating: Front 96Y, Rear 97Y; . Brabus Part number 218-750-20-250. Using the CLS Class Coupe/Shooting Brake C/X218 CLS500 as a base, this Brabus Eco PowerXtra CGI B50-500 kit will boost the performance of your car's M278.922 engine with an extra 92bhp and a punchy 120Nm extra torque. It is suitable for models with a 7 speed gearbox. The top speed restriction is changed to 171 mph;4Matic cars require the ECU to be sent to Brabus; Verify tyres are approved for new top speed; BRABUS speedometer required. Brabus Part number 218-750-20-275. Using the CLS Class Coupe/Shooting Brake C/X218 CLS500 as a base, this Brabus Eco PowerXtra CGI B50-500 kit will boost the performance of your car's M278.922 engine with an extra 92bhp and a punchy 120Nm extra torque. It is suitable for models with a 7 speed gearbox. The top speed restriction is changed to 186 mph;4Matic cars require the ECU to be sent to Brabus; Verify tyres are approved for new top speed; BRABUS speedometer required. Brabus Part number 218-750-20-300. Using the E Class Coupe/Convertible C/A207 E500 as a base, this Brabus Eco PowerXtra CGI B50-500 kit will boost the performance of your car's M278.922 engine with an extra 92bhp and a punchy 120Nm extra torque. It is suitable for models with a 7 speed gearbox. The top speed restriction is changed to 155 mph;Requires tyres of minimum rating: Front 96Y, Rear 97Y; . Brabus Part number 207-750-20-250. Using the E Class Coupe/Convertible C/A207 E500 as a base, this Brabus Eco PowerXtra CGI B50-500 kit will boost the performance of your car's M278.922 engine with an extra 92bhp and a punchy 120Nm extra torque. It is suitable for models with a 7 speed gearbox. The top speed restriction is changed to 171 mph;Verify tyres are approved for new top speed; BRABUS speedometer required. Brabus Part number 207-750-20-275. Using the E Class Coupe/Convertible C/A207 E500 as a base, this Brabus Eco PowerXtra CGI B50-500 kit will boost the performance of your car's M278.922 engine with an extra 92bhp and a punchy 120Nm extra torque. It is suitable for models with a 7 speed gearbox. The top speed restriction is changed to 186 mph;Verify tyres are approved for new top speed; BRABUS speedometer required. Brabus Part number 207-750-20-300. Using the E Class Saloon/Estate W/S212 E500 as a base, this Brabus Eco PowerXtra CGI B50-500 kit will boost the performance of your car's M278.922 engine with an extra 92bhp and a punchy 120Nm extra torque. It is suitable for models with a 7 speed gearbox. The top speed restriction is changed to 171 mph;4Matic cars require the ECU to be sent to Brabus; Verify tyres are approved for new top speed; BRABUS speedometer required. Brabus Part number 212-750-20-275. Using the E Class Saloon/Estate W/S212 E500 as a base, this Brabus Eco PowerXtra CGI B50-500 kit will boost the performance of your car's M278.922 engine with an extra 92bhp and a punchy 120Nm extra torque. It is suitable for models with a 7 speed gearbox. The top speed restriction is changed to 155 mph;Requires tyres of minimum rating: Front 96Y, Rear 97Y; . Brabus Part number 212-750-20-250. Using the E Class Saloon/Estate W/S212 E500 as a base, this Brabus Eco PowerXtra CGI B50-500 kit will boost the performance of your car's M278.922 engine with an extra 92bhp and a punchy 120Nm extra torque. It is suitable for models with a 7 speed gearbox. The top speed restriction is changed to 186 mph;4Matic cars require the ECU to be sent to Brabus; Verify tyres are approved for new top speed; BRABUS speedometer required. Brabus Part number 212-750-20-300. Using the GL Class X166 GL500 as a base, this Brabus Eco PowerXtra CGI B50-500 kit will boost the performance of your car's M278 engine with an extra 65bhp and a punchy 120Nm extra torque. It is suitable for models with a 7 speed gearbox. The top speed restriction is changed to 171 mph;Requires ECU to be sent to Brabus; Verify tyres are approved for new top speed; BRABUS speedometer required. Brabus Part number 166-750-20-275. Using the GL Class X166 GL500 as a base, this Brabus Eco PowerXtra CGI B50-500 kit will boost the performance of your car's M278 engine with an extra 65bhp and a punchy 120Nm extra torque. It is suitable for models with a 7 speed gearbox. The top speed restriction is changed to 155 mph;Requires tyres with minimum speed index W; . Brabus Part number 166-750-20-250. Using the M Class SUV W166 ML500 as a base, this Brabus Eco PowerXtra CGI B50-500 kit will boost the performance of your car's M278 engine with an extra 92bhp and a punchy 120Nm extra torque. It is suitable for models with a 7 speed gearbox. The top speed restriction is changed to 171 mph;Requires ECU to be sent to Brabus; Verify tyres are approved for new top speed; BRABUS speedometer required. Brabus Part number 166-750-20-275. Using the M Class SUV W166 ML500 as a base, this Brabus Eco PowerXtra CGI B50-500 kit will boost the performance of your car's M278 engine with an extra 92bhp and a punchy 120Nm extra torque. It is suitable for models with a 7 speed gearbox. The top speed restriction is changed to 155 mph;Requires tyres with minimum speed index W; . Brabus Part number 166-750-20-250. Using the CL Class Coupe C216 CL500 CGI as a base, this Brabus Eco PowerXtra CGI B50-520 kit will boost the performance of your car's M278 engine with an extra 85bhp and a punchy 120Nm extra torque. It is suitable for models with a 7 speed gearbox. The top speed restriction is changed to 155 mph;Requires tyres of minimum rating: Front&Rear 100Y; . Brabus Part number 221-750-20-250. Using the CL Class Coupe C216 CL500 CGI as a base, this Brabus Eco PowerXtra CGI B50-520 kit will boost the performance of your car's M278 engine with an extra 85bhp and a punchy 120Nm extra torque. It is suitable for models with a 7 speed gearbox. The top speed restriction is changed to 171 mph;4Matic cars require the ECU to be sent to Brabus; Verify tyres are approved for new top speed; BRABUS speedometer required. Brabus Part number 221-750-20-275. Using the CL Class Coupe C216 CL500 CGI as a base, this Brabus Eco PowerXtra CGI B50-520 kit will boost the performance of your car's M278 engine with an extra 85bhp and a punchy 120Nm extra torque. It is suitable for models with a 7 speed gearbox. The top speed restriction is changed to 186 mph;4Matic cars require the ECU to be sent to Brabus; Verify tyres are approved for new top speed; BRABUS speedometer required. Brabus Part number 221-750-20-300. Using the S Class Saloon W/V221 S500 CGI as a base, this Brabus Eco PowerXtra CGI B50-520 kit will boost the performance of your car's M278 engine with an extra 85bhp and a punchy 120Nm extra torque. It is suitable for models with a 7 speed gearbox. The top speed restriction is changed to 155 mph;Requires tyres of minimum rating: Front&Rear 100Y; . Brabus Part number 221-750-20-250. Using the S Class Saloon W/V221 S500 CGI as a base, this Brabus Eco PowerXtra CGI B50-520 kit will boost the performance of your car's M278 engine with an extra 85bhp and a punchy 120Nm extra torque. It is suitable for models with a 7 speed gearbox. The top speed restriction is changed to 171 mph;4Matic cars require the ECU to be sent to Brabus; Verify tyres are approved for new top speed; BRABUS speedometer required. Brabus Part number 221-750-20-275. Using the S Class Saloon W/V221 S500 CGI as a base, this Brabus Eco PowerXtra CGI B50-520 kit will boost the performance of your car's M278 engine with an extra 85bhp and a punchy 120Nm extra torque. It is suitable for models with a 7 speed gearbox. The top speed restriction is changed to 186 mph;4Matic cars require the ECU to be sent to Brabus; Verify tyres are approved for new top speed; BRABUS speedometer required. Brabus Part number 221-750-20-300. Using the SL Class Roadster R231 SL500 CGI as a base, this Brabus Eco PowerXtra CGI B50-520 kit will boost the performance of your car's M278 engine with an extra 85bhp and a punchy 120Nm extra torque. It is suitable for models with a 7 speed gearbox. The top speed restriction is changed to 171 mph;Verify tyres are approved for new top speed; BRABUS speedometer required. Brabus Part number 231-750-20-275. Using the SL Class Roadster R231 SL500 CGI as a base, this Brabus Eco PowerXtra CGI B50-520 kit will boost the performance of your car's M278 engine with an extra 85bhp and a punchy 120Nm extra torque. It is suitable for models with a 7 speed gearbox. The top speed restriction is changed to 186 mph;Verify tyres are approved for new top speed; BRABUS speedometer required. Brabus Part number 231-750-20-300. Using the SL Class Roadster R231 SL500 CGI as a base, this Brabus Eco PowerXtra CGI B50-520 kit will boost the performance of your car's M278 engine with an extra 85bhp and a punchy 120Nm extra torque. It is suitable for models with a 7 speed gearbox. The top speed restriction is changed to 155 mph;. Brabus Part number 231-750-20-250. Using the S Class Coupe C217 S500 Coupe (incl. 4MATIC) as a base, this Brabus Eco PowerXtra CGI B50-540 kit will boost the performance of your car's M278 engine with an extra 85bhp and a punchy 120Nm extra torque. It is suitable for models with a 7 speed gearbox. The top speed restriction is changed to 171 mph;Verify tyres are approved for new top speed; BRABUS speedometer required. Brabus Part number 222-750-20-275. Using the S Class Coupe C217 S500 Coupe (incl. 4MATIC) as a base, this Brabus Eco PowerXtra CGI B50-540 kit will boost the performance of your car's M278 engine with an extra 85bhp and a punchy 120Nm extra torque. It is suitable for models with a 7 speed gearbox. The top speed restriction is changed to 186 mph;Verify tyres are approved for new top speed; BRABUS speedometer required. Brabus Part number 222-750-20-300. Using the S Class Coupe C217 S500 Coupe (incl. 4MATIC) as a base, this Brabus Eco PowerXtra CGI B50-540 kit will boost the performance of your car's M278 engine with an extra 85bhp and a punchy 120Nm extra torque. It is suitable for models with a 7 speed gearbox. The top speed restriction is changed to 155 mph;. Brabus Part number 222-750-20-250. Using the S Class Saloon W/V222 S500 (incl. 4MATIC) as a base, this Brabus Eco PowerXtra CGI B50-540 kit will boost the performance of your car's M278 engine with an extra 85bhp and a punchy 120Nm extra torque. It is suitable for models with a 7 speed gearbox. The top speed restriction is changed to 171 mph;Verify tyres are approved for new top speed; BRABUS speedometer required. Brabus Part number 222-750-20-275. Using the S Class Saloon W/V222 S500 (incl. 4MATIC) as a base, this Brabus Eco PowerXtra CGI B50-540 kit will boost the performance of your car's M278 engine with an extra 85bhp and a punchy 120Nm extra torque. It is suitable for models with a 7 speed gearbox. The top speed restriction is changed to 186 mph;Verify tyres are approved for new top speed; BRABUS speedometer required. Brabus Part number 222-750-20-300. Using the S Class Saloon W/V222 S500 (incl. 4MATIC) as a base, this Brabus Eco PowerXtra CGI B50-540 kit will boost the performance of your car's M278 engine with an extra 85bhp and a punchy 120Nm extra torque. It is suitable for models with a 7 speed gearbox. The top speed restriction is changed to 155 mph;. Brabus Part number 222-750-20-250. Using the CL Class Coupe C216 CL63 AMG as a base, this Brabus Eco PowerXtra CGI B63-584 kit will boost the performance of your car's M157 engine with an extra 40bhp and a punchy 100Nm extra torque. It is suitable for models with a 7 speed gearbox. The top speed restriction is changed to 186 mph;Requires tyres of minimum rating: Front 100Y, Rear 101Y; . Brabus Part number 221-755-10-300. Using the CL Class Coupe C216 CL63 AMG inc SA 250 as a base, this Brabus Eco PowerXtra CGI B63-584 kit will boost the performance of your car's M157 engine with an extra 40bhp and a punchy 100Nm extra torque. It is suitable for models with a 7 speed gearbox. The top speed restriction is changed to 186 mph;Requires tyres of minimum rating: Front 100Y, Rear 101Y; . Brabus Part number 221-755-11-300. Using the CLS Class Coupe/Shooting Brake C/X218 CLS63 AMG as a base, this Brabus Eco PowerXtra CGI B63-584 kit will boost the performance of your car's M157 engine with an extra 59bhp and a punchy 100Nm extra torque. It is suitable for models with a 7 speed gearbox. The top speed restriction is changed to 186 mph;Requires tyres of minimum rating: Front 100Y, Rear 101Y; . Brabus Part number 218-755-10-300. Using the CLS Class Coupe/Shooting Brake C/X218 CLS63 AMG inc SA 250 as a base, this Brabus Eco PowerXtra CGI B63-584 kit will boost the performance of your car's M157 engine with an extra 59bhp and a punchy 100Nm extra torque. It is suitable for models with a 7 speed gearbox. The top speed restriction is changed to 186 mph;Requires tyres of minimum rating: Front 100Y, Rear 101Y; . Brabus Part number 218-755-11-300. Using the E Class Estate S212 E63 AMG as a base, this Brabus Eco PowerXtra CGI B63-584 kit will boost the performance of your car's M157 engine with an extra 59bhp and a punchy 100Nm extra torque. It is suitable for models with a 7 speed gearbox. The top speed restriction is changed to 174 mph;Requires tyres of minimum rating: Front 96Y, Rear 101Y; . Brabus Part number S212-755-10-280. Using the E Class Estate S212 E63 AMG inc SA 250 as a base, this Brabus Eco PowerXtra CGI B63-584 kit will boost the performance of your car's M157 engine with an extra 59bhp and a punchy 100Nm extra torque. It is suitable for models with a 7 speed gearbox. The top speed restriction is changed to 174 mph;Requires tyres of minimum rating: Front 96Y, Rear 101Y; . Brabus Part number S212-755-11-280. Using the E Class Saloon W212 E63 AMG as a base, this Brabus Eco PowerXtra CGI B63-584 kit will boost the performance of your car's M157 engine with an extra 59bhp and a punchy 100Nm extra torque. It is suitable for models with a 7 speed gearbox. The top speed restriction is changed to 186 mph;Requires tyres of minimum rating: Front 96Y, Rear 101Y; . Brabus Part number 212-755-10-300. Using the E Class Saloon W212 E63 AMG inc SA 250 as a base, this Brabus Eco PowerXtra CGI B63-584 kit will boost the performance of your car's M157 engine with an extra 59bhp and a punchy 100Nm extra torque. It is suitable for models with a 7 speed gearbox. The top speed restriction is changed to 186 mph;Requires tyres of minimum rating: Front 96Y, Rear 101Y; . Brabus Part number 212-755-11-300. Using the M Class SUV W166 ML63 AMG as a base, this Brabus Eco PowerXtra CGI B63-584 kit will boost the performance of your car's M157 engine with an extra 59bhp and a punchy 60Nm extra torque. It is suitable for models with a 7 speed gearbox. The top speed restriction is changed to 174 mph;Requires ECU to be sent to Brabus; Requires tyres of minimum rating: Front 99Y, Rear 103Y; . Brabus Part number 166-755-10-280. Using the M Class SUV W166 ML63 AMG as a base, this Brabus Eco PowerXtra CGI B63-584 kit will boost the performance of your car's M157 engine with an extra 59bhp and a punchy 60Nm extra torque. It is suitable for models with a 7 speed gearbox. The top speed restriction is changed to 155 mph;. Brabus Part number 166-755-10-250. Using the M Class SUV W166 ML63 AMG inc SA 250 as a base, this Brabus Eco PowerXtra CGI B63-584 kit will boost the performance of your car's M157 engine with an extra 59bhp and a punchy 60Nm extra torque. It is suitable for models with a 7 speed gearbox. The top speed restriction is changed to 174 mph;Requires ECU to be sent to Brabus; Requires tyres of minimum rating: Front 99Y, Rear 103Y; . Brabus Part number 166-755-11-280. Using the S Class Saloon W221 S63 AMG as a base, this Brabus Eco PowerXtra CGI B63-584 kit will boost the performance of your car's M157 engine with an extra 40bhp and a punchy 100Nm extra torque. It is suitable for models with a 7 speed gearbox. The top speed restriction is changed to 186 mph;Requires tyres of minimum rating: Front 100Y, Rear 101Y; . Brabus Part number 221-755-10-300. Using the S Class Saloon W221 S63 AMG inc SA 250 as a base, this Brabus Eco PowerXtra CGI B63-584 kit will boost the performance of your car's M157 engine with an extra 40bhp and a punchy 100Nm extra torque. It is suitable for models with a 7 speed gearbox. The top speed restriction is changed to 186 mph;Requires tyres of minimum rating: Front 100Y, Rear 101Y; . Brabus Part number 221-755-11-300. Using the CL Class Coupe C216 CL63 AMG inc SA P30 as a base, this Brabus Eco PowerXtra CGI B63-620 kit will boost the performance of your car's M157 engine with an extra 49bhp and a punchy 100Nm extra torque. It is suitable for models with a 7 speed gearbox. The top speed restriction is changed to 186 mph;Requires tyres of minimum rating: Front 100Y, Rear 101Y; . Brabus Part number 221-755-20-300. Using the CL Class Coupe C216 CL63 AMG inc SA P30 as a base, this Brabus Eco PowerXtra CGI B63-620 kit will boost the performance of your car's M157 engine with an extra 49bhp and a punchy 100Nm extra torque. It is suitable for models with a 7 speed gearbox. The top speed restriction is changed to 193 mph;Requires approval from tyre manufacturer; . Brabus Part number 221-755-20-310. Using the CL Class Coupe C216 CL63 AMG inc SA P30 as a base, this Brabus Eco PowerXtra CGI B63-620 kit will boost the performance of your car's M157 engine with an extra 49bhp and a punchy 100Nm extra torque. It is suitable for models with a 7 speed gearbox. 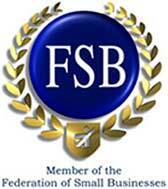 The top speed restriction is changed to 199 mph;Requires approval from tyre manufacturer; . Brabus Part number 221-755-20-320. Using the CLS Class Coupe/Shooting Brake C/X218 CLS63 AMG exc SA P30 as a base, this Brabus Eco PowerXtra CGI B63-620 kit will boost the performance of your car's M157 engine with an extra 95bhp and a punchy 200Nm extra torque. It is suitable for models with a 7 speed gearbox. The top speed restriction is changed to 193 mph;Requires ECU to be sent to Brabus; Requires approval from tyre manufacturer; . Brabus Part number 218-755-30-310. Using the CLS Class Coupe/Shooting Brake C/X218 CLS63 AMG exc SA P30 as a base, this Brabus Eco PowerXtra CGI B63-620 kit will boost the performance of your car's M157 engine with an extra 95bhp and a punchy 200Nm extra torque. It is suitable for models with a 7 speed gearbox. The top speed restriction is changed to 199 mph;Requires ECU to be sent to Brabus; Requires approval from tyre manufacturer; . Brabus Part number 218-755-30-320. Using the CLS Class Coupe/Shooting Brake C/X218 CLS63 AMG exc SA P30 as a base, this Brabus Eco PowerXtra CGI B63-620 kit will boost the performance of your car's M157 engine with an extra 95bhp and a punchy 200Nm extra torque. It is suitable for models with a 7 speed gearbox. The top speed restriction is changed to 186 mph;Requires ECU to be sent to Brabus; Requires tyres of minimum rating: Front 100Y, Rear 101Y; . Brabus Part number 218-755-30-300. Using the CLS Class Coupe/Shooting Brake C/X218 CLS63 AMG inc SA P30 as a base, this Brabus Eco PowerXtra CGI B63-620 kit will boost the performance of your car's M157 engine with an extra 63bhp and a punchy 100Nm extra torque. It is suitable for models with a 7 speed gearbox. The top speed restriction is changed to 186 mph;Requires tyres of minimum rating: Front 100Y, Rear 101Y; . Brabus Part number 218-755-20-300. Using the CLS Class Coupe/Shooting Brake C/X218 CLS63 AMG inc SA P30 as a base, this Brabus Eco PowerXtra CGI B63-620 kit will boost the performance of your car's M157 engine with an extra 63bhp and a punchy 100Nm extra torque. It is suitable for models with a 7 speed gearbox. The top speed restriction is changed to 193 mph;Requires approval from tyre manufacturer; . Brabus Part number 218-755-20-310. Using the CLS Class Coupe/Shooting Brake C/X218 CLS63 AMG inc SA P30 as a base, this Brabus Eco PowerXtra CGI B63-620 kit will boost the performance of your car's M157 engine with an extra 63bhp and a punchy 100Nm extra torque. It is suitable for models with a 7 speed gearbox. 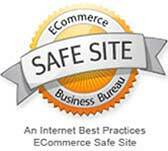 The top speed restriction is changed to 199 mph;Requires approval from tyre manufacturer; . Brabus Part number 218-755-20-320. Using the E Class Estate S212 E63 AMG exc SA P30 as a base, this Brabus Eco PowerXtra CGI B63-620 kit will boost the performance of your car's M157 engine with an extra 95bhp and a punchy 200Nm extra torque. It is suitable for models with a 7 speed gearbox. The top speed restriction is changed to 193 mph;Requires ECU to be sent to Brabus; Requires approval from tyre manufacturer; . Brabus Part number S212-755-30-310. Using the E Class Estate S212 E63 AMG exc SA P30 as a base, this Brabus Eco PowerXtra CGI B63-620 kit will boost the performance of your car's M157 engine with an extra 95bhp and a punchy 200Nm extra torque. It is suitable for models with a 7 speed gearbox. The top speed restriction is changed to 199 mph;Requires ECU to be sent to Brabus; Requires approval from tyre manufacturer; . Brabus Part number S212-755-30-320. Using the E Class Estate S212 E63 AMG exc SA P30 as a base, this Brabus Eco PowerXtra CGI B63-620 kit will boost the performance of your car's M157 engine with an extra 95bhp and a punchy 200Nm extra torque. It is suitable for models with a 7 speed gearbox. The top speed restriction is changed to 174 mph;Requires ECU to be sent to Brabus; Requires tyres of minimum rating: Front 96Y, Rear 101Y; . Brabus Part number S212-755-30-280. Using the E Class Estate S212 E63 AMG exc SA P30 as a base, this Brabus Eco PowerXtra CGI B63-620 kit will boost the performance of your car's M157 engine with an extra 95bhp and a punchy 200Nm extra torque. It is suitable for models with a 7 speed gearbox. The top speed restriction is changed to 186 mph;Requires ECU to be sent to Brabus; Requires tyres of minimum rating: Front 96Y, Rear 101Y; . Brabus Part number S212-755-30-300. Using the E Class Estate S212 E63 AMG inc SA P30 as a base, this Brabus Eco PowerXtra CGI B63-620 kit will boost the performance of your car's M157 engine with an extra 63bhp and a punchy 100Nm extra torque. It is suitable for models with a 7 speed gearbox. The top speed restriction is changed to 174 mph;Requires tyres of minimum rating: Front 96Y, Rear 101Y; . Brabus Part number S212-755-20-280. Using the E Class Estate S212 E63 AMG inc SA P30 as a base, this Brabus Eco PowerXtra CGI B63-620 kit will boost the performance of your car's M157 engine with an extra 63bhp and a punchy 100Nm extra torque. It is suitable for models with a 7 speed gearbox. The top speed restriction is changed to 186 mph;Requires tyres of minimum rating: Front 96Y, Rear 101Y; . Brabus Part number S212-755-20-300. Using the E Class Estate S212 E63 AMG inc SA P30 as a base, this Brabus Eco PowerXtra CGI B63-620 kit will boost the performance of your car's M157 engine with an extra 63bhp and a punchy 100Nm extra torque. It is suitable for models with a 7 speed gearbox. The top speed restriction is changed to 193 mph;Requires approval from tyre manufacturer; . Brabus Part number S212-755-20-310. Using the E Class Estate S212 E63 AMG inc SA P30 as a base, this Brabus Eco PowerXtra CGI B63-620 kit will boost the performance of your car's M157 engine with an extra 63bhp and a punchy 100Nm extra torque. It is suitable for models with a 7 speed gearbox. The top speed restriction is changed to 199 mph;Requires approval from tyre manufacturer; . Brabus Part number S212-755-20-320. Using the E Class Saloon W212 E63 AMG exc SA P30 as a base, this Brabus Eco PowerXtra CGI B63-620 kit will boost the performance of your car's M157 engine with an extra 95bhp and a punchy 200Nm extra torque. It is suitable for models with a 7 speed gearbox. The top speed restriction is changed to 193 mph;Requires ECU to be sent to Brabus; Requires approval from tyre manufacturer; . Brabus Part number 212-755-30-310. Using the E Class Saloon W212 E63 AMG exc SA P30 as a base, this Brabus Eco PowerXtra CGI B63-620 kit will boost the performance of your car's M157 engine with an extra 95bhp and a punchy 200Nm extra torque. It is suitable for models with a 7 speed gearbox. The top speed restriction is changed to 199 mph;Requires ECU to be sent to Brabus; Requires approval from tyre manufacturer; . Brabus Part number 212-755-30-320. Using the E Class Saloon W212 E63 AMG exc SA P30 as a base, this Brabus Eco PowerXtra CGI B63-620 kit will boost the performance of your car's M157 engine with an extra 95bhp and a punchy 200Nm extra torque. It is suitable for models with a 7 speed gearbox. The top speed restriction is changed to 186 mph;Requires ECU to be sent to Brabus; Requires tyres of minimum rating: Front 96Y, Rear 101Y; . Brabus Part number 212-755-30-300. Using the E Class Saloon W212 E63 AMG inc SA P30 as a base, this Brabus Eco PowerXtra CGI B63-620 kit will boost the performance of your car's M157 engine with an extra 63bhp and a punchy 100Nm extra torque. It is suitable for models with a 7 speed gearbox. The top speed restriction is changed to 186 mph;Requires tyres of minimum rating: Front 96Y, Rear 101Y; . Brabus Part number 212-755-20-300. Using the E Class Saloon W212 E63 AMG inc SA P30 as a base, this Brabus Eco PowerXtra CGI B63-620 kit will boost the performance of your car's M157 engine with an extra 63bhp and a punchy 100Nm extra torque. It is suitable for models with a 7 speed gearbox. The top speed restriction is changed to 193 mph;Requires approval from tyre manufacturer; . Brabus Part number 212-755-20-310. Using the E Class Saloon W212 E63 AMG inc SA P30 as a base, this Brabus Eco PowerXtra CGI B63-620 kit will boost the performance of your car's M157 engine with an extra 63bhp and a punchy 100Nm extra torque. It is suitable for models with a 7 speed gearbox. The top speed restriction is changed to 199 mph;Requires approval from tyre manufacturer; . Brabus Part number 212-755-20-320. Using the G Class W463 G63 AMG as a base, this Brabus Eco PowerXtra CGI B63-620 kit will boost the performance of your car's M157 engine with an extra 76bhp and a punchy 60Nm extra torque. It is suitable for models with a 7 speed gearbox. The top speed restriction is changed to 138 mph;Requires ECU to be sent to Brabus; Requires tyres of minimum rating: Front 101V, Rear 109V; . Brabus Part number 463-755-20-230. Using the G Class W463 G63 AMG as a base, this Brabus Eco PowerXtra CGI B63-620 kit will boost the performance of your car's M157 engine with an extra 76bhp and a punchy 60Nm extra torque. It is suitable for models with a 7 speed gearbox. The top speed restriction is changed to 130 mph;. Brabus Part number 463-755-20-210. Using the GL Class X166 GL63 AMG as a base, this Brabus Eco PowerXtra CGI B63-620 kit will boost the performance of your car's M157 engine with an extra 63bhp and a punchy 60Nm extra torque. It is suitable for models with a 7 speed gearbox. The top speed restriction is changed to 174 mph;Requires ECU to be sent to Brabus; Requires tyres of minimum rating: Front 100Y, Rear 106Y; . Brabus Part number 166-755-20-280. Using the M Class SUV W166 ML63 AMG exc SA P30 as a base, this Brabus Eco PowerXtra CGI B63-620 kit will boost the performance of your car's M157 engine with an extra 95bhp and a punchy 120Nm extra torque. It is suitable for models with a 7 speed gearbox. The top speed restriction is changed to 186 mph;Requires ECU to be sent to Brabus; Requires approval from tyre manufacturer; . Brabus Part number 166-755-30-300. Using the M Class SUV W166 ML63 AMG exc SA P30 as a base, this Brabus Eco PowerXtra CGI B63-620 kit will boost the performance of your car's M157 engine with an extra 95bhp and a punchy 120Nm extra torque. It is suitable for models with a 7 speed gearbox. The top speed restriction is changed to 174 mph;Requires ECU to be sent to Brabus; Requires tyres of minimum rating: Front 99Y, Rear 103Y; . Brabus Part number 166-755-30-280. Using the M Class SUV W166 ML63 AMG inc SA P30 as a base, this Brabus Eco PowerXtra CGI B63-620 kit will boost the performance of your car's M157 engine with an extra 63bhp and a punchy 60Nm extra torque. It is suitable for models with a 7 speed gearbox. The top speed restriction is changed to 186 mph;Requires ECU to be sent to Brabus; Requires approval from tyre manufacturer; . Brabus Part number 166-755-20-300. Using the M Class SUV W166 ML63 AMG inc SA P30 as a base, this Brabus Eco PowerXtra CGI B63-620 kit will boost the performance of your car's M157 engine with an extra 63bhp and a punchy 60Nm extra torque. It is suitable for models with a 7 speed gearbox. The top speed restriction is changed to 174 mph;Requires ECU to be sent to Brabus; Requires tyres of minimum rating: Front 99Y, Rear 103Y; . Brabus Part number 166-755-20-280. Using the S Class Saloon W221 S63 AMG inc SA P30 as a base, this Brabus Eco PowerXtra CGI B63-620 kit will boost the performance of your car's M157 engine with an extra 49bhp and a punchy 100Nm extra torque. It is suitable for models with a 7 speed gearbox. The top speed restriction is changed to 186 mph;Requires tyres of minimum rating: Front 100Y, Rear 101Y; . Brabus Part number 221-755-20-300. Using the S Class Saloon W221 S63 AMG inc SA P30 as a base, this Brabus Eco PowerXtra CGI B63-620 kit will boost the performance of your car's M157 engine with an extra 49bhp and a punchy 100Nm extra torque. It is suitable for models with a 7 speed gearbox. The top speed restriction is changed to 193 mph;Requires approval from tyre manufacturer; . Brabus Part number 221-755-20-310. Using the S Class Saloon W221 S63 AMG inc SA P30 as a base, this Brabus Eco PowerXtra CGI B63-620 kit will boost the performance of your car's M157 engine with an extra 49bhp and a punchy 100Nm extra torque. It is suitable for models with a 7 speed gearbox. The top speed restriction is changed to 199 mph;Requires approval from tyre manufacturer; . Brabus Part number 221-755-20-320. Using the SL Class Roadster R231 SL63 AMG as a base, this Brabus Eco PowerXtra CGI B63-620 kit will boost the performance of your car's M157 engine with an extra 83bhp and a punchy 100Nm extra torque. It is suitable for models with a 7 speed gearbox. The top speed restriction is changed to 186 mph;Requires tyres of minimum rating: Front 94Y, Rear 95Y; . Brabus Part number 231-755-10-300. Using the SL Class Roadster R231 SL63 AMG inc SA 250 as a base, this Brabus Eco PowerXtra CGI B63-620 kit will boost the performance of your car's M157 engine with an extra 83bhp and a punchy 100Nm extra torque. It is suitable for models with a 7 speed gearbox. The top speed restriction is changed to 186 mph;Requires tyres of minimum rating: Front 94Y, Rear 95Y; . Brabus Part number 231-755-11-300. Using the CLS Class Coupe/Shooting Brake C/X218 CLS63 AMG S 4MATIC as a base, this Brabus Eco PowerXtra CGI B63-650 kit will boost the performance of your car's M157 engine with an extra 65bhp and a punchy 120Nm extra torque. It is suitable for models with a 7 speed gearbox. The top speed restriction is changed to 186 mph;Requires ECU to be sent to Brabus; . Brabus Part number 218-755-50-300. Using the E Class Saloon/Estate W/S212 E63 AMG S 4MATIC as a base, this Brabus Eco PowerXtra CGI B63-650 kit will boost the performance of your car's M157 engine with an extra 65bhp and a punchy 120Nm extra torque. It is suitable for models with a 7 speed gearbox. The top speed restriction is changed to 186 mph;Requires ECU to be sent to Brabus; Requires tyres of minimum rating: Front 97Y, Rear 100Y; . Brabus Part number 212-755-50-300. Using the S Class Coupe C217 S63 AMG 4MATIC Coupe as a base, this Brabus Eco PowerXtra CGI B63-650 kit will boost the performance of your car's M157 engine with an extra 65bhp and a punchy 100Nm extra torque. It is suitable for models with a 7 speed gearbox. The top speed restriction is changed to 186 mph;Requires approval from tyre manufacturer; . Brabus Part number 222-755-20-300. Using the S Class Coupe C217 S63 AMG 4MATIC Coupe as a base, this Brabus Eco PowerXtra CGI B63-650 kit will boost the performance of your car's M157 engine with an extra 65bhp and a punchy 100Nm extra torque. It is suitable for models with a 7 speed gearbox. The top speed restriction is changed to 155 mph;. Brabus Part number 222-755-20-250. Using the S Class Saloon W/V222 S63 AMG 4MATIC as a base, this Brabus Eco PowerXtra CGI B63-650 kit will boost the performance of your car's M157 engine with an extra 65bhp and a punchy 100Nm extra torque. It is suitable for models with a 7 speed gearbox. The top speed restriction is changed to 186 mph;Requires approval from tyre manufacturer; . Brabus Part number 222-755-20-300. Using the S Class Saloon W/V222 S63 AMG 4MATIC as a base, this Brabus Eco PowerXtra CGI B63-650 kit will boost the performance of your car's M157 engine with an extra 65bhp and a punchy 100Nm extra torque. It is suitable for models with a 7 speed gearbox. The top speed restriction is changed to 155 mph;Requires tyres of minimum rating: Front 100Y, Rear 102Y; . Brabus Part number 222-755-20-250. Using the SL Class Roadster R231 SL63 AMG exc SA P30 as a base, this Brabus Eco PowerXtra CGI B63-650 kit will boost the performance of your car's M157 engine with an extra 113bhp and a punchy 200Nm extra torque. It is suitable for models with a 7 speed gearbox. The top speed restriction is changed to 193 mph;Requires ECU to be sent to Brabus; Requires approval from tyre manufacturer; . Brabus Part number 231-755-30-310. Using the SL Class Roadster R231 SL63 AMG exc SA P30 as a base, this Brabus Eco PowerXtra CGI B63-650 kit will boost the performance of your car's M157 engine with an extra 113bhp and a punchy 200Nm extra torque. It is suitable for models with a 7 speed gearbox. The top speed restriction is changed to 199 mph;Requires ECU to be sent to Brabus; Requires approval from tyre manufacturer; . Brabus Part number 231-755-30-320. Using the SL Class Roadster R231 SL63 AMG exc SA P30 as a base, this Brabus Eco PowerXtra CGI B63-650 kit will boost the performance of your car's M157 engine with an extra 113bhp and a punchy 200Nm extra torque. It is suitable for models with a 7 speed gearbox. The top speed restriction is changed to 186 mph;Requires ECU to be sent to Brabus; Requires tyres of minimum rating: Front 94Y, Rear 95Y; . Brabus Part number 231-755-30-300. Using the SL Class Roadster R231 SL63 AMG inc SA P30 as a base, this Brabus Eco PowerXtra CGI B63-650 kit will boost the performance of your car's M157 engine with an extra 86bhp and a punchy 100Nm extra torque. It is suitable for models with a 7 speed gearbox. The top speed restriction is changed to 193 mph;Requires approval from tyre manufacturer; . Brabus Part number 231-755-20-310. Using the SL Class Roadster R231 SL63 AMG inc SA P30 as a base, this Brabus Eco PowerXtra CGI B63-650 kit will boost the performance of your car's M157 engine with an extra 86bhp and a punchy 100Nm extra torque. It is suitable for models with a 7 speed gearbox. The top speed restriction is changed to 199 mph;Requires approval from tyre manufacturer; . Brabus Part number 231-755-20-320. Using the SL Class Roadster R231 SL63 AMG inc SA P30 as a base, this Brabus Eco PowerXtra CGI B63-650 kit will boost the performance of your car's M157 engine with an extra 86bhp and a punchy 100Nm extra torque. It is suitable for models with a 7 speed gearbox. The top speed restriction is changed to 186 mph;Requires tyres of minimum rating: Front 94Y, Rear 95Y; . Brabus Part number 231-755-20-300. Using the SLS AMG R197 SLS AMG Roadster as a base, this Brabus Eco PowerXtra CGI B63S kit will boost the performance of your car's M159 engine with an extra 40bhp and a punchy 30Nm extra torque. It is suitable for models with a 7 speed gearbox. The top speed restriction is changed to 202 mph;Includes modified ECU and titanium exhaust valves. Brabus Part number 197-773-00. Using the S Class Coupe S63 AMG (C217 Series) as a base, this Brabus Eco PowerXtra CGI B63S-730 kit will boost the performance of your car's M157 engine with an extra 145bhp and a whacking 165Nm extra torque. The top speed restriction is changed to 202 mph; Includes Brabus custom turbocharger with large compressor, down pipe, metal catalysts and Gold heat reflection. Brabus Part number 222-755-B63S. Using the S Class Saloon S63 AMG (W/V222 Series) as a base, this Brabus Eco PowerXtra CGI B63S-730 kit will boost the performance of your car's M157 engine with an extra 145bhp and a whacking 165Nm extra torque. Suitable for both S63 and S63 4Matic, the top speed restriction is changed to 202 mph; Includes Brabus custom turbocharger with large compressor, down pipe, metal catalysts and Gold heat reflection. Brabus Part number 222-755-B63S. Using the S Class Saloon S63 AMG (C217 Series) as a base, this Brabus Eco PowerXtra CGI B63S-760 kit will boost the performance of your car's M157DE5LA engine with an extra 175bhp and a whacking 200Nm extra torque. The top speed restriction is changed to 202 mph; Includes Brabus custom turbocharger with large compressor, down pipe, metal catalysts, carbon fibre raw intake tubes and gold heat reflection for intake and turbo pipes. Brabus Part number 217-765-B63S. Using the S Class Saloon S63 AMG (W/V222 Series) as a base, this Brabus Eco PowerXtra CGI B63S-760 kit will boost the performance of your car's M157DE5LA engine with an extra 175bhp and a whacking 200Nm extra torque. Suitable for both S63 and S63 4Matic, the top speed restriction is changed to 202 mph; Includes Brabus custom turbocharger with large compressor, down pipe, metal catalysts, carbon fibre raw intake tubes and gold heat reflection for intake and turbo pipes. Brabus Part number 222-765-B63S.